The parents of teenage IHOP server Sam Swindell said they are "heartbroken" but "very proud" of their son. 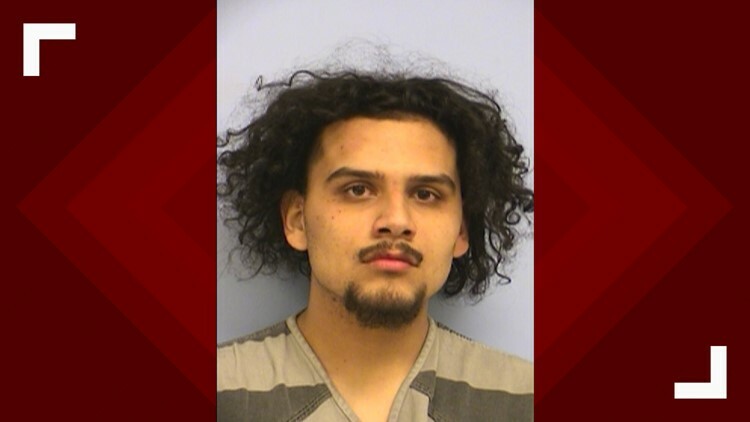 PFLUGERVILLE, Texas — One person is in custody after allegedly opening fire at an IHOP restaurant in Pflugerville Tuesday night. And, according to the parents of the server injured, it involved their teenage son and a group of three men at his table. The Pflugerville Police Department confirmed they responded to multiple calls about an active shooter at the pancake house in the Stone Hill Town Center at 18709 Limestone Commercial Drive. At around 6:46 p.m., they said one person was shot and suffered minor injuries. Police arrested 19-year-old Matthew Sheedy, who is charged with aggravated robbery and possession of marijuana. Police said Sheedy met with the 18-year-old victim, an IHOP employee, in the restroom with the intent to rob him of narcotics. When he couldn't produce any narcotics, Sheedy allegedly displayed a pistol and demanded money. Police said they did not find any drugs on the victim and they are not investigating him as a dealer. Multiple shots were fired as an altercation ensued, police said. The suspect was caught fleeing the scene. KVUE spoke with the parents of the victim involved, who said their son, Sam Swindell, gave them a first-hand account. According to them, he's a high school student and works part-time at the restaurant. 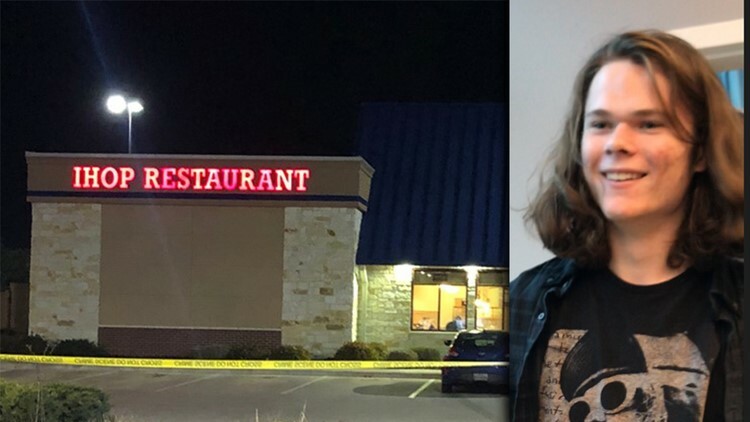 Sam told them he served a group of three males, including the alleged gunman who he said was unknown him, and the gunman became agitated throughout the meal. He told his parents the gunman returned alone 45 minutes later and put a gun to his head, telling him to give him all of his money. When the gunman allegedly cocked his weapon as if he was about to shoot, Sam said he hit the suspect and took him to the ground, trying to guide the gun away from himself and others in the restaurant. In the process, he said two shots were fired and Sam's hand was injured. After this, Sam told his parents the gunman attempted to shoot himself, so the teen jammed his hand into the bullet ejection chamber and it did not fire. When Sam was able to wrestle the weapon away from him, he said the gunman fled. Police confirmed the firearm was removed from the suspect's possession by the victim. Police also said the victim knew at least one person in the group. "We are heartbroken that our son went through such an experience but we are so thankful that he will be OK and are grateful that he was able to stop the gunman from hurting anyone else in the restaurant, including himself," said Scott and Jennifer Swindell. "We are very proud of our son." The victim was treated at a local hospital for minor injuries and has since been released.